This year, all three different grades in our homeschool are using Sonlight. Up until this year, I’ve always had an eclectic curriculum that I put together for each kid. Last year, that was four different curriculum plans!! Four different weekly lesson plans. Four different . . . ugh. I get overwhelmed just thinking about it. Anyway, so this year I wisened up and decided to use a boxed curriculum with all the lesson plans done for me. Perfect! Anything to simplify life, right? Lately, I’ve been adding in some seasonal activities or skill focused worksheets for my first graders. We received an Individual Membership from Super Teacher Worksheets (STW) for review, and man has it been handy! STW is a wonderful resource for teachers, homeschoolers, or even just parents wanting to help their kids develop skills that might need a bit more practice. 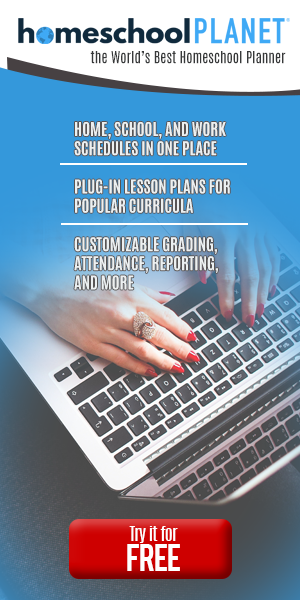 This site covers multiple subjects and grades. You’ll also find special features like chapter books, holiday-themed pages, puzzles and brain teasers, and a worksheet generator. They also have many worksheets available in Spanish. There is also a Teacher Helpers section. On this page, there are printable certificates, calendars, sticker charts, and more. STW is a subscription-based membership with options for individuals or schools. There are literally thousands of worksheets available on the site, you really should go take a look. After looking through the site I found a few things I knew my first graders would either enjoy or benefit from using. One of the first things we used was some printing practice pages (say that 10 times fast!). I printed off 2 copies of each of the lower and upper case letter copywork for both kids. We also printed off, colored, cut and glued together some scarecrows. This one was done by my 3-year-old. I’m sorry to say that I can’t find the other two. They carried them off and are unsure where they left them. Thankfully, Lou wanted hers immediately posted on Grandma’s mini fridge, so we knew right where to find it. Perhaps my favorite function of STW is the Filing Cabinet. Here I can collect the worksheets I want to use or just really like so I don’t have to go looking for them later on. Super Teacher Worksheets is an awesome resource to have in your back pocket. Want to do a themed unit? You’re covered. Want some worksheets to go along with the book you’re reading? You’re covered. Have six kids and you all have dentist appointments which takes like four hours so you want to print off some worksheets so the kids stay somewhat quiet and happy at the dentist office? No? Just me? Hmm… well, I’m covered.